Mauryan Dynasty: Chandragupta Maurya who was born somewhere around 340 BC is regarded as the founder of the Mauryan Empire. Chandragupta succeeded in conquering most of the Indian subcontinent. Before Chandragupta Maurya tried to consolidate power by annexing territories, there existed small regional kingdoms which dominated the northwestern subcontinent, while the Nanda Dynasty dominated the middle and lower basin of the Ganges. 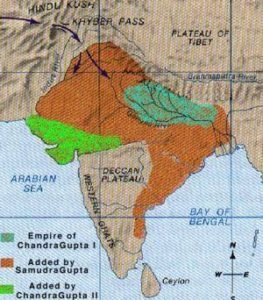 After Chandragupta’s conquests, the Maurya Empire extended from Bengal and Assam in the east to Afghanistan and Baluchistan in the west, to Kashmir and Nepal in the north, and to the Deccan Plateau in the south. History has very little records with regard to the background of Chandragupta as in where did he hail from and such other details. However, according to the Buddhist text of the Mahavamsa, Chandragupta belonged from a section of the Khatiya who was basically a Kshatriya clan named Moriya or Maurya. Apart from this, the Divyavadana had referred to Bindusara, who was the son of Chandragupta, an anointed Kshatriya, while the Murdhabhishikata, has also referred to King Ashoka, who was the son of Bindusara, as a Kshatriya as well. Additionally, the Mahaparinnibhana Sutta of the Buddhist canon states that the Moriyas or Mauryas belonged to the Kshatriya community of Pippalivana. Hence, what can be inferred with some level of certainty is that Chandragupta belonged from a Kshatriya lineage. The Mahavamshatika related him with the Sakya clan of the Buddha, a clan which also belonged to the race of Aditya which is regarded as a solar race by all the Vedas as well as by the Hindu Puranas. 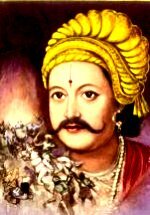 The story which has been laid down by most of the historians is that Chandragupta was a young shepherd boy who under the guidance of the Brahmin Chanakya revolted against the atrocities of the Nanda kings and established the Mauryan Empire and thus emerged as an epitome for the subsequent rulers. Chandragupta Maurya, under the directions and guidance of Chanakya, defeated the Magadha kings as well as the huge army of Chandravanshi clan. Subsequent to this victory, Chandragupta also defeated the generals of Alexander settled in Gandhara which was situated in the modern day Afghanistan. When Alexander invaded India, Chanakya was a teacher at Takshasila University. The then king of Takshasila and Gandhara, Ambhi who was also known as Taxiles, signed a truce with Alexander. However, Chanakya, had an altogether different plan of defeating the foreign invasion and for this reason sought help from other kings to unite and fight Alexander. Porus, who was the king of Punjab, was the only local king who could challenge Alexander at the Battle of the Hydaspes River. However, he stood defeated. Chanakya then went to Magadha, situated further in the east, to seek the help of Dhana Nanda, who ruled the vast Nanda Empire extending from Bihar and Bengal in the east to eastern Punjab in the west. However, Dhana Nanda refused to help. It was after facing two rejections, that Chanakya not only saw Chandragupta but was also convinced of his immense military as well as executive abilities and thus, convinced Chandragupta of the need to build an empire which could protect Indian territories from foreign invasion. Chanakya was deeply impressed by his personality and intelligence and immediately took the young boy under his wing to fulfill the promise which he made to himself. The first target of Chandragupta was to raise a long-standing army of his own which could defeat the powerful Nanda army. By this time, Chanakya trained Chandragupta under his guidance and together they planned the destruction of Dhana Nanda. 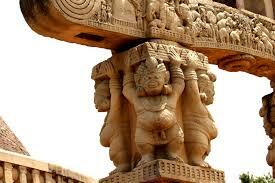 According to the Chandraguptakatha, Chandragupta, as well as Chanakya, were initially rejected by the Nanda forces. In the subsequent war, Chandragupta faced Bhadrasala who was the commander of Dhana Nanda’s armies and eventually also defeated Bhadrasala as well as Dhana Nanda in a series of battles, ending with the blockade of the capital city Pataliputra. This conquest of the Nanda Empire around 321 BCE, thus laid the foundation stone of the powerful Maurya Empire in Northern India when he was only 20 years old. Chandragupta further also defeated the remaining Macedonian satrapies in the northwest of the Indian subcontinent by 317 BCE. Having defeated the Greek satrap in the Khyber Mountains around 303 BC, Chandragupta came to be crowned as the King at Taxila. Hence, Chandragupta is considered the first unifier of India and its first genuine emperor. His achievements, which ranged from conquering Macedonian satrapies in the northwest and conquering the Nanda Empire by the time he was only about 20 years old, to achieving an alliance with Seleucus I Nicator and establishing centralized rule throughout South Asia, remain some of the most celebrated in the history of India. Following Alexander’s death in 323 BCE, Chandragupta, focused his attention to Northwestern India which is now the Pakistan occupied part, where he defeated the satrapies left by Alexander and was also believed to have assassinated two of his governors, namely Nicanor and Philip The satrapies he fought included Eudemus, who was the ruler in western Punjab until his departure in 317 BCE; and Peithon, son of Agenor, who was the ruler of Greek colonies along the Indus until his departure for Babylon in 316 BC. Around 305BC, Chandragupta extended the limits of his empire by defeating Seleucus. Seleucus I Nicator was a Macedonian satrap of Alexander. According to most of the historians, Chandragupta married Seleucus’s daughter, who was a Greek Macedonian princess. This alliance was considered a gift from Seleucus in return for which Chandragupta sent 500 war-elephants, a military asset which to play a decisive role at the Battle of Ipsus in 302 BCE. Apart from this treaty, Seleucus also dispatched an ambassador, Megasthenes, to Chandragupta, and later Deimakos to his son Bindusara, at the Mauryan court at Pataliputra. After annexing Seleucus’ eastern Persian provinces, Chandragupta’s empire extended across the northern parts of Indian Sub-continent, from the Bay of Bengal to the Arabian Sea. Chandragupta then began expanding his empire further south beyond the barrier of the Vindhya Range and into the Deccan Plateau barring the Tamil Country, Kalinga which is modern day Orissa. With the conclusion of his conquests, Chandragupta had successfully managed in unifying most of Southern Asia. At this point in time, Megasthenes recorded the size of Chandragupta’s acquired army as 400,000 soldiers. Towards the end of his life, Chandragupta gave up his throne and became an abstinent under the Jain saint Bhadrabahu, and eventually migrated south with then and ended his last days in Sallekhana at Shravanabelagola which is located in the present day Karnataka. Chandragupta Maurya renounced his throne to his son, Bindusara, who became the new Mauryan Emperor. Bindusara later became the father of Ashoka the Great, who was regarded as one of the most influential kings in history due to his important role in the history of Buddhism. The Maurya Empire had a smooth administration as well as efficient rulers. The government was hierarchical and centralized with a lot of staff which ensured that work was carried on smoothly and efficiently. Taxes were collected regularly, trade and commerce were carried on smoothly, citizens were taken care of and the army was always ready for any sort of external aggression or threat. Every province had its own set of officials who managed administration at the grassroots level. The economy basically was an agrarian one. The Mauryan dynasty was also royal patrons of art and literature as a result of which famous temples and monuments came to be built during the reign of this Empire. Ashoka preached his philosophies in the form of pillars and rock edicts all over northern India which stand as testimony to the same till date. It was in the latter part of the 2nd century that the Mauryan Empire began disintegrating. The reason for the collapse of the Mauryan was the absence of a strong ruler after King Ashoka as well as of a strong army.